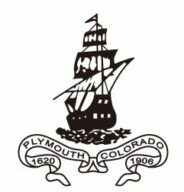 The Colorado Society of Mayflower Descendants is proud to award two $1,620 scholarships each year to two eligible Colorado high school seniors. The full amount is paid directly to the college, university or other institution where the student is enrolled with instructions that the amounts be applied to each of that year’s semesters evenly. This is a onetime scholarship, paid the summer before the student’s first semester. By far the most important part of your application is the completion of a thoughtful, well-written essay in three parts which explore a passenger of the Mayflower and their significance to the colony. Go to http://mayflowerhistory.com/mayflower-passenger-list/ and select a passenger to write your essay about. You should also do a Google Search on the Mayflower passenger you have selected. The Mayflower Compact: Its importance to the Mayflower passenger you have selected. This portion of your essay is to be based on a careful reading of the Compact and you’re relating of its content to the life situation of your Mayflower passenger; no secondary sources are to be used. Take one feature of the Mayflower Compact and expound upon any impact it has had in your life. How would your commitment to bettering yourself be supported by the opportunities this scholarship will make available to you? The three parts of your essay must not exceed a total length of 1500 words. IMPORTANT NOTE: You are to write this essay in your own words. It is not intended to be a research essay, but rather a personal essay, exploring facets of the Mayflower passenger you have selected. DO NOT incorporate text from any secondary sources in your essay. Essays that include text copied directly from sources suggested, or any other sources, will be disqualified. Create an edited, single spaced d draft of Part 1, Part 2 and Part 3 of your essay – with appropriate citations – and bibliography using New Roman 12 point font style. 2 COPIES OF THE Scholarship Application page. A letter of recommendation from a teacher, counselor, business person, peer or family friend. Information on your Mayflower ancestor, if applicable.